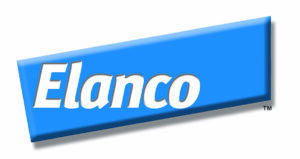 VETgirl wants to give a HUGE shout out to Elanco Animal Health for sponsoring a FREE online, veterinary continuing education webinar on "Management of common electrolyte emergencies." A huge shout out to Dr. Marie Holowaychuk, DACVECC for helping to present this! So what if you missed it? You can view the recording below at your convenience 24/7 - just do it before June 5, 2015, as this page will expire 1 month from the live webinar date. Subscribe today to become a VETgirl ELITE member, which provides you over 20 hours of RACE-approved CE/year ($249). That way, you know that you have flexibility to view any of our webinars when you have time. All the webinars are recorded and can be viewed 24/7 after their release date for CE credit. If you’re watching the recording later on, don’t forget to take the CE quiz with it when you’re done to get your CE certificate!